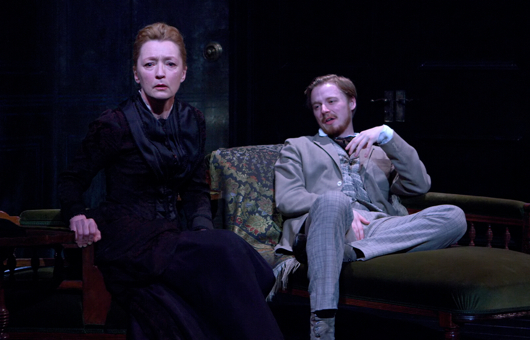 Lesley Manville stars in Richard Eyre’s Olivier Award-winning revival of Ibsen’s masterpiece. Enter your email address below to be alerted as soon as this production becomes available. Ghosts, they don't die. They don't vanish, they walk the world again. 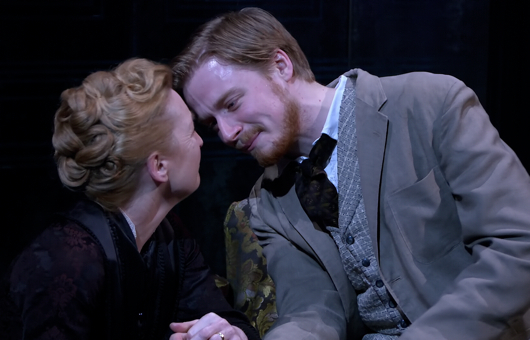 Richard Eyre's spell-binding adaptation has won three Olivier Awards, with Lesley Manville crowned Best Actress and Jack Lowden named Best Supporting Actor. 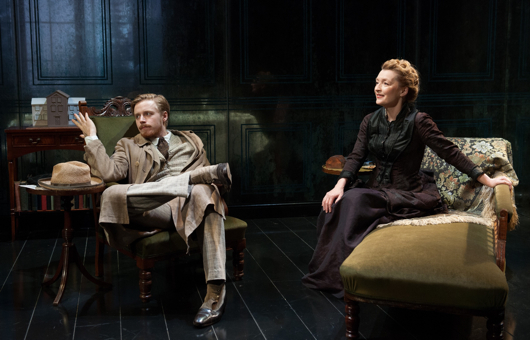 A masterpiece of compassion... Richard Eyre's new version has glories too many to list. 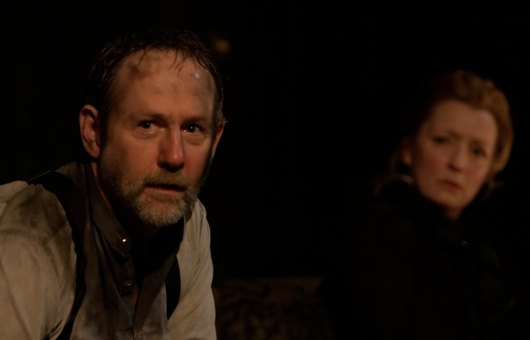 Manville’s performance is a triumph of poise and intensity. 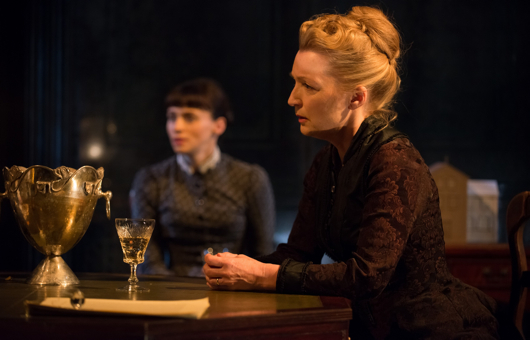 Ghosts was produced in the West End by Sonia Friedman Productions and the Almeida Theatre with Rupert Gavin, Tanya Link Productions and JFL Theatricals/GHF Productions in association with 1001 Nights. 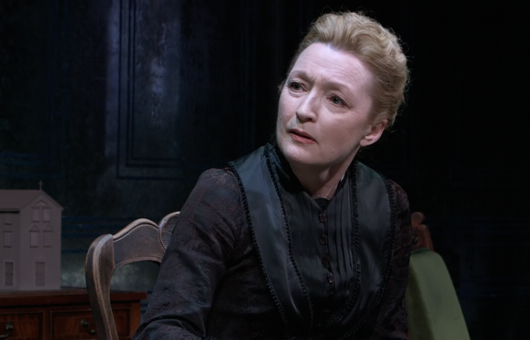 Captured live at the Trafalgar Studios, London, in February 2014. 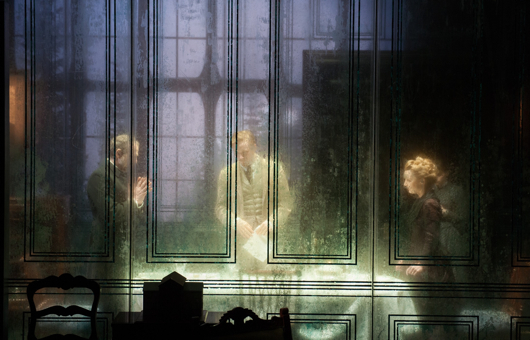 Production photography © Hugo Glendinning. Rented productions are made available in your library for 30 days with 48 hours to complete viewing from the first time you begin playback. You can watch Rentals when online directly through your browser, via the Digital Theatre Desktop Player or on your iPhone, iPad or iPod touch. 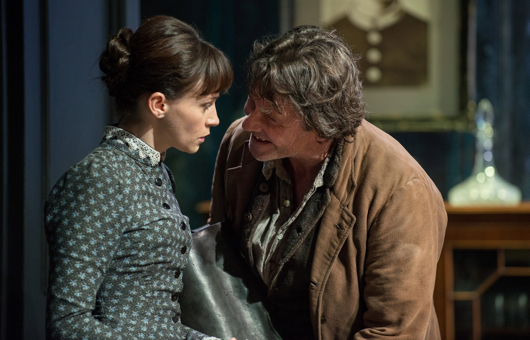 Purchased productions are yours to keep forever, and can be watched online through your browser, downloaded to watch offline via the Digital Theatre Desktop Player or enjoyed on one of our supported devices. Standard Definition purchases are normal broadcast quality, meaning smaller file size and quicker downloads when compared to a HD purchase. 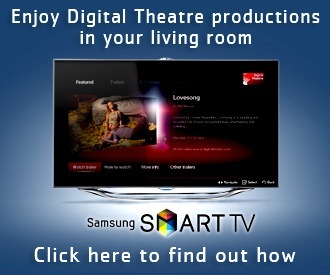 Like Standard Definition purchases, High Definition productions are yours to keep forever, and can be watched online through your browser, downloaded to watch offline via the Digital Theatre Desktop Player or enjoyed on one of our supported devices. High Definition purchases are the highest quality available and perfect for customers with HD televisions, monitors or Retina Displays. Login to your account to post a comment. 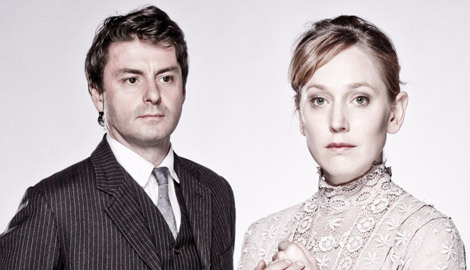 Hattie Morahan stars in Simon Stephens' compelling new version of Ibsen's masterpiece for the Young Vic. 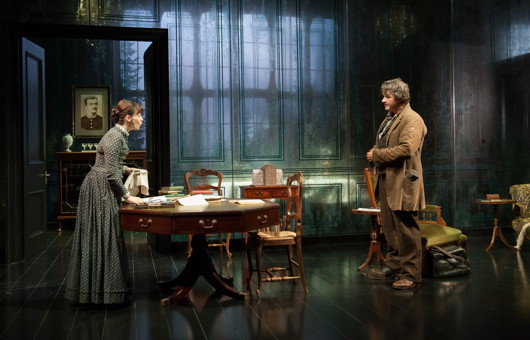 David Suchet returns to the West End in this Olivier Award-winning revival of Eugene O'Neill's masterpiece. 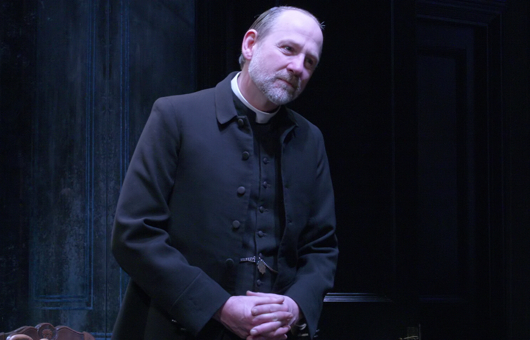 Michael Attenborough directs award-winning actor Jonathan Pryce in the title role of Shakespeare's greatest tragedy. 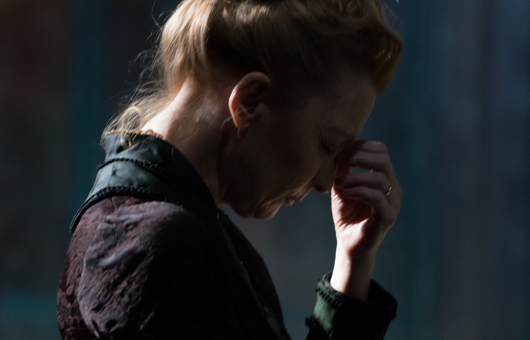 Jez Butterworth's Olivier-nominated comedy for the Almeida starring Amanda Drew, Toby Jones and Andrew Lincoln.